Preparations for the busy Spring/Summer season is still taking place here within the unit and we have started to stretch our legs again with a few jobs last month. 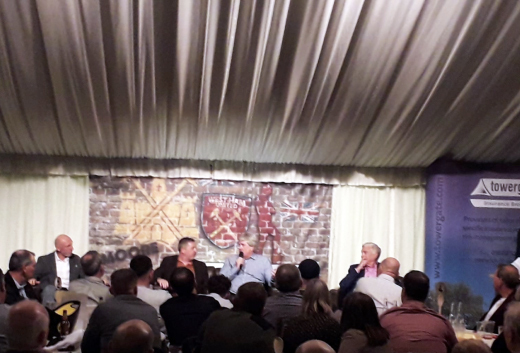 We were pleased to be part of the West Ham Legends evening, which was held here in Watton last weekend at the Sports Centre (we got to meet Sir Trevor Brooking) and we will be lending a hand to their next event, an evening with darts Legends Bob Anderson and Bobby George on April 19th. Tickets for this event can be purchase at the Sports Centre or by calling 01953 881281. 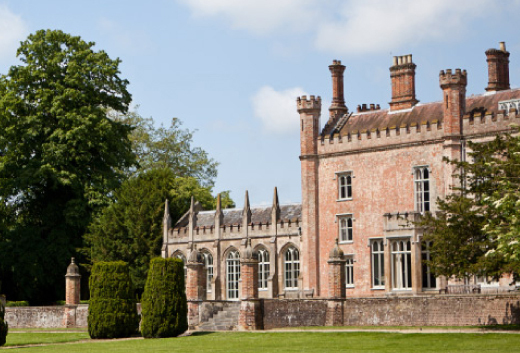 "We will be holding an open day at Ketteringham Hall on April 28thto give guests a taste of what could be on offer in the coming months, along with other suppliers who we have teamed up with at this fantastic location. " With the start of a new season, comes new opportunities and we will be attending The Kimberley Hall wedding fair and open day for approved supplier on the 30th March, so please feel free to pop along and enjoy what the hall has to offer with free entry. This is open to everyone and refreshment will be available. On that note, as we had mentioned in our previous post, we can now announce that we have a new venue to offer both our wedding and corporate clients: Ketteringham Hall near to Wymondham, in collaboration with Sarah Softley of Softley Events. We will be holding an open day at Ketteringham Hall on April 28th to give guests a taste of what could be on offer in the coming months, along with other suppliers who we have teamed up with at this fantastic location. We can also hold corporate functions, team building days and photo shoots overlooking the hall and lake, creating a wonderful backdrop for any event. On a different note, please keep an eye open for our vans and lorries, which will be in new livery from the start of April thanks to our friends at Unique Signs of Norwich. We will keep you posted and show you pictures of the completed items along with the new van addition to the Weatherfield fleet. This seems to round-up March and gives you a little insight into some of what we will be up to in April. Please don’t forget to follow us on Facebook where you will find all our up-to-date posts and pictures. If you like what you see please give us a thumbs up and share our posts. With regards to bookings, we have closed a number of weekends in June, July, August and September and are having to turn away some customers as we are just too busy to be able to help, which is something we hate to do. The 2020 quotes are flying out of the door and our calendar is already filling up with a number of clients confirming there slots in preparation for next year. We can already see which dates are going to be popular, so please get in contact as soon as possible to avoid disappointment with your chosen dates. Don’t forget we are always happy to help where we can and give advice or free site visits to work around you.